Are you looking for great hourly pay (one of the highest in Second Life)? 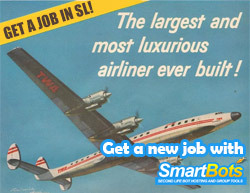 Work in a cool team of one of the largest companies in SL? 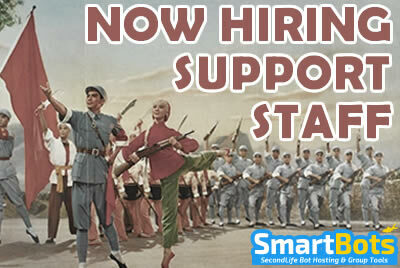 If so, SmartBots is looking for you as a Support Manager! Career advancement, promotions and bonuses included. For more details, visit our Careers web-page and fill out the online application! 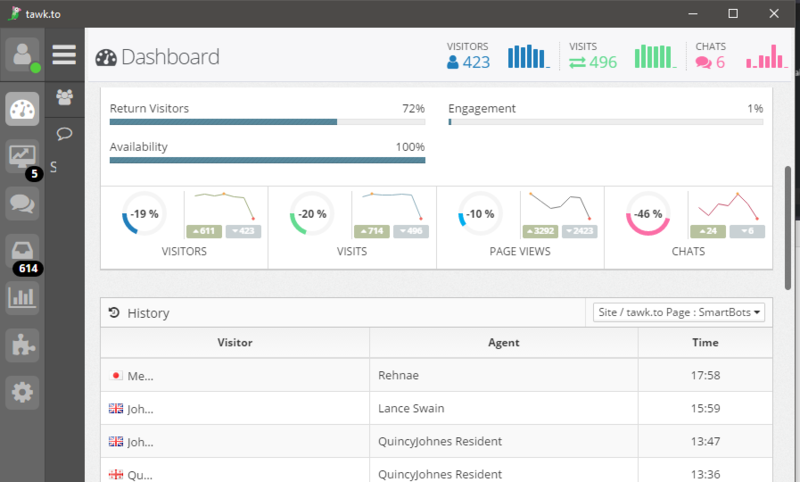 Do you have any experience in customer service and want to work for SmartBots? 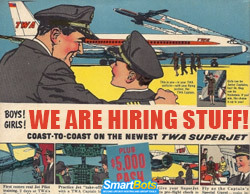 SmartBots is looking for one experienced international agent who will be online during the hours of 11pm to 8am SLT and will be able to respond to IMs as well as take live chat requests from customers on our website. If you are interested, please fill out this form and we will respond to you if your application is successful. 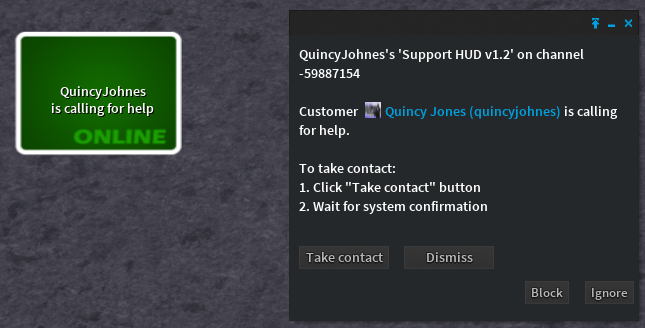 If you have any questions, feel free to contact GTASkinCentral Resident in-world.